You’re here to learn about some pros and cons of Value-Added Checking. While working with clients, we get asked this a lot, so we put our answers together in one place. That way, you benefit as well! Value-Added Checking can be an amazing improvement and income-generator for your financial institution. However, for it to be successful for all parties, there are some things to consider. Before diving in, let’s review what you have right now. Let’s take an honest look at your product lineup. What is new? Not a new marketing effort, but a truly updated core offering. Chances are, if your FI is like most, the answer is: “not much”. Sure, the way your account holders access information and funds is a sea change evolution, but the products themselves? They’re pretty much the same. Their purpose is unchanged, and so is their perception. Which might just be a challenge as Fintechs, Neo-banks, and other competitors and innovations emerge to threaten this core product. In fact, since 2011, checking accounts in traditional financial institutions are steadily decreasing. Before learning the 12 Pros & Cons below (even the Cons are helpful! ), you’ll want to take a look at this. 1-page PDF: 4 Easy Hacks to Increase Checking Revenue! What product do you offer that is perceived as the “core” of your relationship? Loans? Credit cards? Savings? 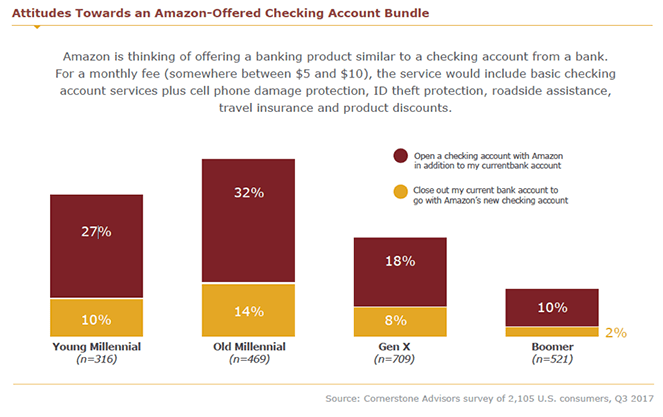 Most agree the checking account is still the “hub” of a customer’s relationship with your financial institution. Sure, with easy switching solutions available, their “stickiness” is faded, but they are still the prized goal for offering additional banking services. With debit cards and the interchange fees they bring, the battle is on for new accounts (and top-of-wallet presence). Everyone wants ease-of-use. Those same people also want value. In case you haven’t noticed (that’s a joke), attention is on Millennials and the growing Gen Z market. What do they want? Could it be ease-of-use and value? What sales strategy is wildly popular with people, especially the younger generations, today? Subscription services. What do all of these have in common? You pay for them monthly. And you get more perceived value from each than the cost they charge. Given these factors, on average, an institution can generate $50 annually per account. As this account will generally replace the free checking one, the net gains can be as high as $1,000,000 (or more) annually per 20k accounts. With a Value-Added Checking account, more reason emerges to keep account holders informed of available benefits. Sure, your credit cards offer a wide range of perks, but what about the many users of debit cards? They always seem to draw the short straw. Suddenly, debit cards are cool as credit. For so many more account holders. And with the increased usage, your institution reaps the benefit from interchange fees. Every business, including your institution, seeks to be “unique.” And when your product lineup is commoditized, it’s not easy. Value-Added Checking differentiates your institution for existing account holders (and prospective new ones). The benefit to account holders is both obvious and substantial. What costs more: Retaining an account or acquiring a new one? If you’re like most institutions (and businesses), the former is the cost-effective strategy. Then the fact that checking accounts are on the downswing might just be a concern. With a 12% decline since 2011, the accounts are going somewhere, right? According to Moebs Services, Neo-Banks such as Simple, Varo, and Chime, as well as other Fintechs, are eating into these numbers. And it’s not just because you can do all your banking from your phone. Sure, the simplified mobile interfaces coupled with advanced financial guidance is tempting. The capabilities of these new platforms exceeds that of many banking institutions. But these mostly focus on managing money. What about offering more? To put it bluntly: You don’t cancel Netflix in the middle of watching your favorite show. Save money by keeping the accounts you already have, and grow revenues as you encourage them to stay. The typical bundle consists of seven benefits headed up by ID Protection/Restoration and Accidental Cell Phone Damage Insurance. In most cases, the account pricing is between $4 and $7 per month. So, what would just these items cost on their own? ID Protection/Restoration: Assuming comparable benefits, a basic ID Theft/Restoration plan from Lifelock costs $9.95 per month. Notice we’re already paying more just for one thing. Accidental Cell Phone Damage Insurance: Cell phone protection from Verizon costs $13 plus $9 for every additional device, each month. Say the average family has four phones. We’re talking $40 per month. That Value-Added Checking account? It offers coverage for every phone in most families. That’s already nearly a 1000% price advantage. 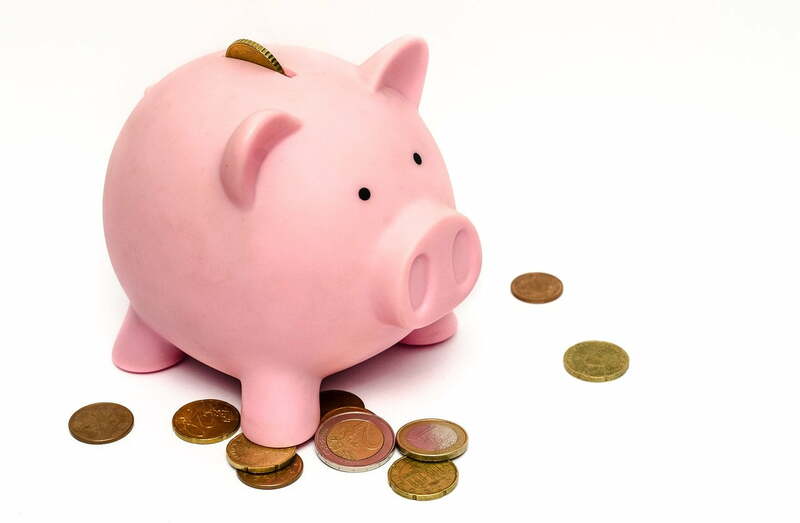 How many articles do you read about saving a few dollars here and there? This is a lot of here’s and there’s. And we didn’t even get to the other five benefits, which vary in ROI based on usage and local availability. Personally, I use one or two of the buy-one-get-one restaurant discounts every month for lunches. Each of those is worth around $7-$10. Seriously, the account fee can be covered by a single lunch coupon. Add in other discount offers including shopping, travel, eyewear, prescriptions, and more, and your account holders can potentially save hundreds (or more) each and every month. What good is all this stuff if your account holders forget you’re the one providing it to them? Not to worry, whenever the benefits are accessed, your institution’s name and logo are displayed prominently on the website or app screen. Marketer or not, I’m sure you understand the value of having as much as 80% of your checking account holders seeing your brand when using included benefits. As Mastercard says: “Priceless”. Number one you get. The account makes money, that’s pretty basic. However, why would an account mean you spend less money? Great question! Providing ID Theft and Restoration coverage does two things: It provides peace of mind for account holders. It also saves your institution money in hard and soft costs. People are creatures of habit, your account holders included. It doesn’t matter the new benefits; what was previously free and now has a cost will create “friction” from a small percentage of account holders. Our experience has shown less than 1% will be noisy objectors. However, when converting tens of thousands of accounts, a few dozen angry customers or members can stress any team. Social media amplifies their voice. Posts with hundreds of displeased comments (even if they are from a handful of people) can quickly overwhelm your institution’s social media channels. And we get it; that looks terrible for the institution. Plus, as accusations fly, rumors can replace facts, and it’s easy to lose control of the conversation. Best practices can avoid this scenario altogether. However, your entire team must be well-versed and prepared, with a proven process in place before any notices are sent out or changes made. Partly to avoid the above situation, and mostly to ensure your account holders are properly advised of the benefits of the new plan, training is essential. It takes time. And resources. Even if their reply to most questions is just a suggestion to “try it out” risk-free for a certain period, or help the account holder opt out entirely. Skip this step and it will definitely become a major con. Thankfully, you can work with your Value-Added Checking provider to offer training sessions. I don’t know if they bring coffee and donuts, sorry. If you were hoping for a “set-it-and-forget-it” program, Value-Added Checking isn’t it. Once running, sure, it shows its own value. However, when first planning and notifying both staff and your account holders, it takes time and effort. We found the first 60 days are critical. Your account holders will want to talk to you about it. Initially, some will be skeptical and potentially unhappy that a free thing now…isn’t. Well-written outreach (which a good provider will assist in sending) and trained staff (see #2) help explain the benefits they’ll now receive. All communications channels within the institution must be prepared for the influx. They’ll call, e-mail, post on your Facebook page, send you Facebook messages, tweet your account, and visit branches. And some of those they’ll do at odd hours. Ensuring no or very short wait and response times will keep your account holders happy and help ensure a smooth launch. Plus, aren’t you all about providing great service? While insubstantial compared to even short-term revenue potential, there is a fee to start. This one-time payment is required should your institution decide to enter into an agreement with a Value-Added Checking company. Depending on how accounting and spending authorizations work at your financial institution, this may necessitate bringing other team members into the process. It’s hard to charge a fee on an account with no money. While no institutions we spoke with using Value-Added Checking reported this as an issue, it is possible the debiting of the fee could trigger an NSF. This can be avoided by setting a minimum balance, under which, the fee will not be debited. We suggest speaking with your Value-Added Checking provider to learn their best practices if this situation arises. Your existing free checking (or less benefit rich) account will get “converted” by changing your terms and conditions to add the new benefits. That means creating a new account if you wish to continue offering free checking. Since this may not be an overnight process, we want you to be well-informed ahead of time so you can begin planning. Also, it’s essential you stay on the good side of your regulators! From a compliance standpoint, you cannot create a new account which is exactly the same as the old converted one. Why? That’s a great question, and one which your regulator can best answer! Suffice it to say, if you are going to create a new “fallback” account for those who wish to remain in a free checking program, it must have slightly different benefits. What does that look like? Let’s keep it simple. Say your current free checking offers complimentary paper statements (even though you encourage e-statements). Your new account will only offer e-statements (with paper statements provided at a fee). From our perspective, and that of over 600 financial institutions already using Value-Added Checking programs, the Pros outweigh the Cons. However, the challenges must be appropriately considered, as they can quickly become true negatives if not addressed. Knowing as many of the “bad” things that can happen going in to something new is the best way to be prepared. As we’ve said, Value-Added Checking may not be for your institution. However, if it is, there are many benefits for account holders, staff, and the organization as a whole. We can help your institution decide if Value-Added Checking is right for you. Simply contact us to schedule a private web meeting (select Secure Checking on the form) to start the process.